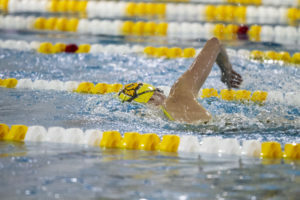 Led by a healthy mix of classes, the Rowan women’s swimming and diving team has made a splash so far this season, getting off to their best start since they went 5-1 in their first six meets in 2014. Now, the team is suiting up to head to Worcester, Massachusetts for the WPI Gompei Invitational this weekend. Last season, the Profs came in first out of 13 teams during the three-day event, as Carlee Timmins not only took first in the 500 freestyle, but set a school record with a 5:04.94 finish. Megan Miller took the crown in the 50 backstroke then as well with a time of 1:30.44. 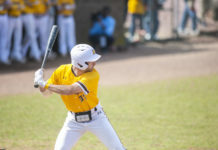 Head coach Brad Bowser thinks this year’s team has the potential to be special and that they have been put in good hands with the senior class. Senior Miranda Coughlan has come with open arms to the young guns. This weekend sets itself up as a huge qualifying event for NCAA’s down the road, as the Metropolitan Championships do as well in late-February. That being said, Bowser wants to see some of his team fill their spots in their respective events this weekend. Last year, Timmins came in second and qualified with a B-cut time for the 1650 free at the WPI Gompei Invitational and then improved her time by .31 seconds at the Metropolitan Championships, where she also placed second. Alferez has a season-best of 4:51.34 that she set against Arcadia in October. She had her fastest swim in the event last year at Mets with a 4:36.25. In the 400 IM, the B-cut time is 4:30.76. Bambrick’s been close to qualification in the 200 back dating back to last year, where her 2:04.53 time at Mets just missed the B-cut of 2:03.87. This year is even more challenging, as the 200 back qualifying time is now 2:03.61. Bambrick’s season-best is about nine seconds slower than the B-cut. Coughlan’s season-best in the 50 and 100 freestyles are less than a second and less than two seconds from being B-cut qualifiers, respectively. Coughlan’s been quite the role model during her four years in Glassboro, both in the water as well as in the classroom. She was named a captain last season and ended up earning All-Conference first team honors in four events. 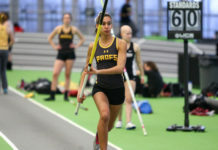 Maybe even more impressive was her performance in the classroom where she received recognition both as a Rowan Scholar-Athlete along with being an New Jersey Athletic Conference (NJAC) All-Academic honorable mention. Coughlan’s impact has found its way to underclassmen on the team quite effortlessly. Alferez, who is one of Rowan’s top underclassmen swimmers, is more than prepared for this weekend. “I’m excited about the 400 IM, which I do have the record for, but I have been working on my breast stroke more so I am hoping to drop more time in the breaststroke,” Alferez said. Alferez broke out onto the scene last year in dramatic fashion setting the school record in the 400 IM at the Metropolitan championships with a time of 4:36.25. Her best 100 breast time this year is 1:18.37 that she made against Kean University. The B-cut in the event is a 1:04.79. The WPI Gompei Invitational will start with 9:00 a.m. prelims and have finals at 5:30 p.m. Friday and Saturday. Sunday’s finals will start at 5:00 p.m.